Will take you back to the middle ages and give you that Robin Hood experience. 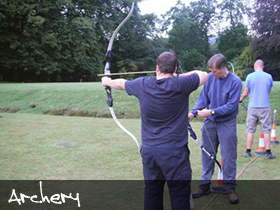 Archery is an excellent activity for all ages and abilities. We have a number of excellent shooting sites, GNAS qualified leaders and together with quality equipment will take you progressively through key skills where you will hit the target every time (well almost!). School groups in particular have found this an excellent activity for their students as it increases their self esteem through personal development. Going underground can be a life affirming experience! No other activity takes you to a different dimension, once underground a new world opens up and people are changed by this experience. life you come across are other fellow cavers! Excellent variety of mine and natural cave sites suited for your needs and aspirations. Mud, water, laughter, excitement and thrills. Climbing and abseiling underground in our vertical systems – through stunning water worn passage ways and spectacular waterfalls. Your experience with complete attention to your physical and emotional health. An insight into past working lead mines and Derbyshire's rich industrial heritage. 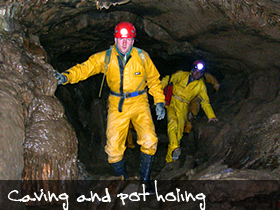 Well qualified and experienced cave instructors to lead the session who are dedicated to your safety and complete enjoyment of this intriguing underground world. 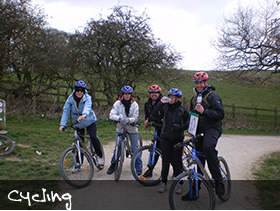 We use a number of excellent quality trails throughout Derbyshire for our mountain bike programmes. After a careful safety briefing we explore Derbyshire, navigating our way through the limestone dales and grit stone plateaus. Breath taking views and excellent exercise all give you a rewarding day out. Start life's big adventure with a BIG ADVENTURE! Ever wanted to see the bride or groom 'to be' squirming through a hole covered in mud, or soaked through to the skin in an upturned canoe, or hanging on to a rock face with their fingernails??? We were going to include 'dangling on the end of a rope' but thought better of it. Well here's your opportunity to capture that special moment (before that other important event) and believe us – they will thank you for it ………..later! 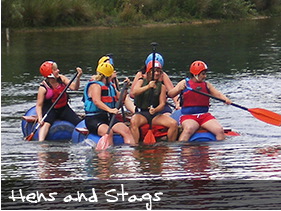 Focus are the experts in creating a simply fabulous party atmosphere for your 'stag' or 'hen' and tailor-make the BIG ADVENTURE to meet your individual requirements. We provide a carefully managed event that ensures maximum fun and enjoyment for all but still delivered within a very safety conscious arena. 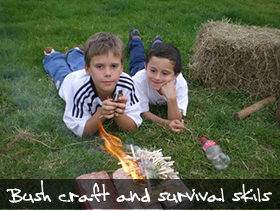 All the usual outdoor activities are available along with the creativity to provide experiences to your own design. We can give you ideas from many previous successful celebrations and suggest a few surprises that may enhance the occasion. The 'stag' may stagger and the 'hen' may crow, but we'll have the photos for all to show! The UK has excellent mountain ranges. We use the best qualified mountain instructors to take you into remote areas and offer the best of mountain experiences. Extend your range, learn new skills, gain confidence in stretching your horizons. These workshops empower you to travel further into the mountains and off the beaten track. Learn how to navigate successfully by relating map to ground, understanding features, interpreting terrain and having the confidence to put these new skills into practice. You need never feel lost again. Derbyshire offers one of the best climbing areas in the UK. 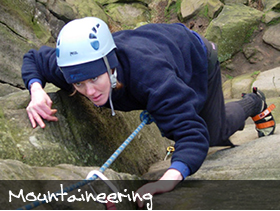 We can provide specialist rock climbing days for groups or individuals on both limestone and grit stone rock. Special transfer courses for those progressing from indoor climbing to the outdoor rock medium! All your technical equipment – just bring yourself and a change of clothes!